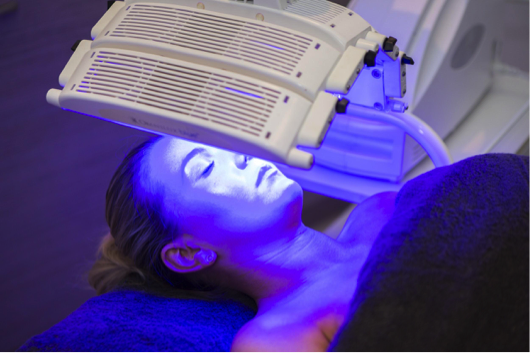 LED Light Therapy has been a popular form of a non-invasive treatment to revitalise skin from a cellular level. With the ability to treat a wide range of skin concerns like acne and aging skin, it’s understandable why everyone is loving this natural alternative. Without the use of UV rays, LED Light Therapy is able to promote collagen and elastin production for plumper, firmer and glowing skin. At Serene Day Spa, we use OmniLux LED Light Therapy which is one of the most well known forms of LED Light Therapy and with over a decade of proven results. A number of clinical studies have shown an 80% reduction in fine lines and wrinkles and drastic improvements for people with acne prone skin and wounds. 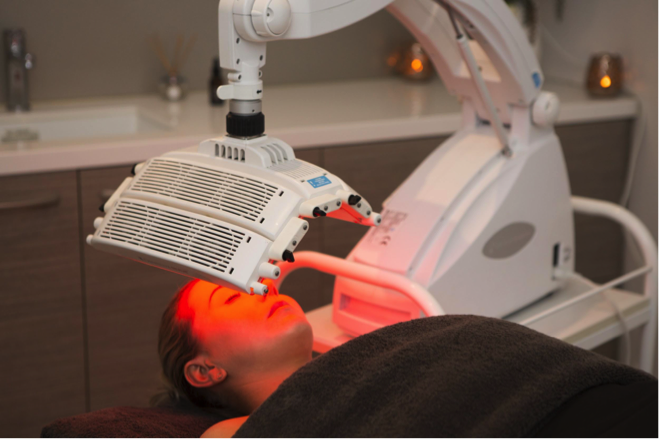 The painless treatment works by using light emitting diodes (LED) through a 3 panelled machine at specific wavelengths and intensities to treat skin concerns. OmniLux Revive is great for skin rejuvenation by boosting collagen and elastin production to reduce the appearance of fine lines and wrinkles. Used in conjunction with OmniLux Revive, OmniLux Plus rejuvenates the skin and also heals wounds and scarring. OmniLux Blue is used for those with acne by killing acne causing bacteria and reduces inflammation. It also helps control excess sebum levels, which is a common cause of acne. For even more plump, radiant and glowing skin, maximise your results with our NEW Hydrogel Light Fusion Masks. These cooling Marine Collagen gel masks are applied underneath the Omnilux light and further activated by the LED lights to infuse active ingredients and intensely hydrates. Incorporating this into your light treatment will you give you an extra hydration boost, perfect for special occasions or when you need your skin looking its best. 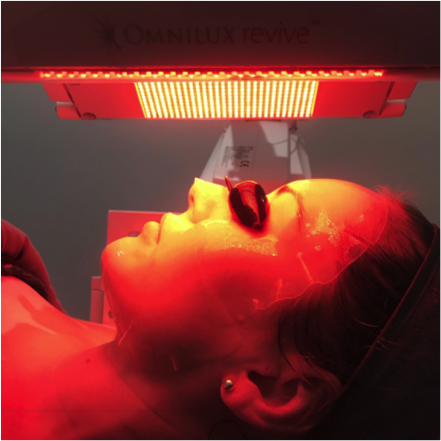 The treatment will take 30 minutes, with the OmniLux light is active for 20 minutes. We will also cleanse and exfoliate prior and apply serums and moisturise post treatment to protect your skin. After one session, skin will be visibly clearer and brighter over the next couple of days. For longer lasting results, OmniLux is recommended over a course of 3-9 treatments. When you start light therapy treatment, our trained therapists will guide you through the process and design the perfect light therapy treatment for you. Visit us at Serene Day Spa to start your journey towards plumper and more radiant skin today!